The Three Towns Theatre Company of today is a very enthusiastic group, made up of people of all ages. We have three membership categories – Junior, Adult and Vice President. *The younger members of our company need to be 15 years of age and pay a yearly fee of £30, while the rest of us pay £60 annually. This fee helps cover the very high insurance costs and other general expenses that occur while running a company. The only other expense for “acting” members is a show fee, which changes from production to production, depending on the type of show. The performance of a large musical needs many more people than just “actors”! Firstly a Producer, Musical Director and Choreographer are required, then backstage crew for stage management and props, someone to be responsible for costumes, scenery design……. the list is endless!! We are always happy to have new members, whatever interests you – your ideas and skills will be very welcome. If you would like to become a member or have an interest in being one of our product team for future performance please complete our contact form. 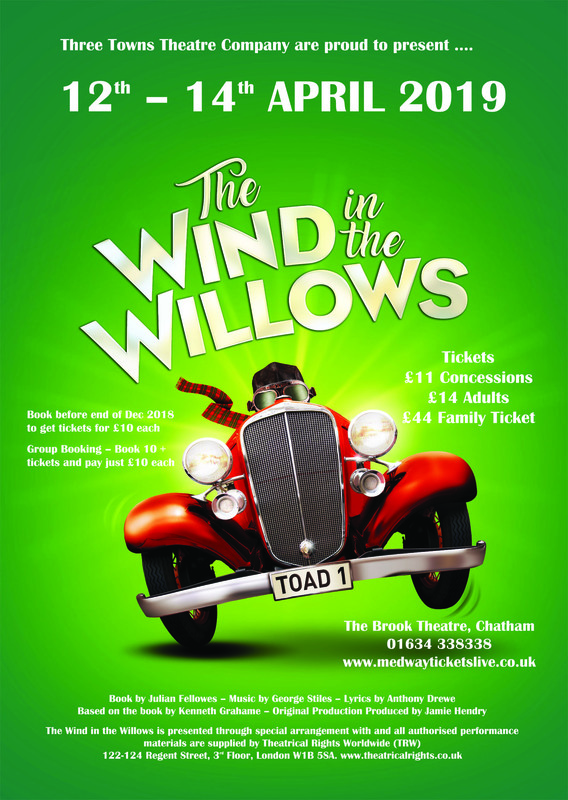 The Three Towns Theatre Company is proud to be affiliated to NODA.